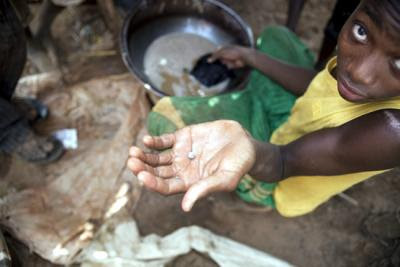 An estimated 400 children have died from the inhalation of lead poison in six communities in Zamfara State due to improper mining practices. Hamzat Bala Lawal, the National Coordinator, African Youth Initiative on Climate Change (AYICC), Nigeria chapter, disclosed this on Wednesday in Abuja. Lawal, who is also the Advisor, Nigerian Youth Climate Action Network (NYCAN), said that the root cause of the lead poisoning crisis was unsafe mining and ore processing. He stressed the need to provide access to facilities and programmes to people engaged in mining and ore processing, to enable to safely mine and process ore without exposing themselves or others to toxic lead. He quoted Medecins sans Frontieres, an international NGO, as saying that the environment had to be properly sanitised for the affected children to receive adequate treatment. Lawal said that his organisation had been advocating for the federal government to release $5.4 million for environmental remediation, to eliminate the contaminant. According to him, the process of eliminating the poison from the communities would take a period of three to six months. "Over 1,000 people have died from this poison in these six communities due to mining activities," he said. "Overtime, we will adopt the best practice of mining in order not to re-pollute the environment." The coordinator also advocated for a functional National Climate Change Commission which would provide leadership, coordination, resources and information to fully respond to climate change.